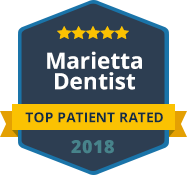 Are you looking for cosmetic dental treatment in Marietta, GA? 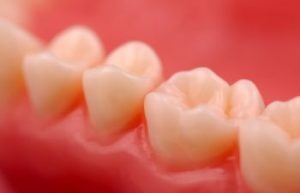 To get that perfect smile, you may want to start by paying attention to your pink gums before your pearly-white teeth. Your gums are far more than just skin around your tooth enamel. Your gums play a crucial role in both your oral and overall health. Gingiva goes way beyond just the skin you see around your teeth. Your gums have complex layers that contain specialized ligaments to cushion, anchor, and support your teeth at the roots. What this means is that your gums are important to keeping your teeth in your mouth. If you lose gum tissue to inflammation or recession, your teeth can start to loosen. Gum tissue cannot repair itself. That is, not if you lose much of it. A cut in your gums will heal, but receded gums won’t come back. 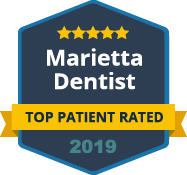 Gum disease has been connected with problems like Alzheimer’s, rheumatoid arthritis, stroke, and heart disease. There’s no denying the fact that unhealthy gums negatively impact your health. A healthy mouth means a healthy body. Why are long teeth so undesirable? Well, the teeth themselves aren’t the issue. It’s a lack of gum tissue covering tooth roots that makes them look long and bare. Put simply, you need lots of healthy gums to keep your smile looking youthful and beautiful. You’ve got many reasons to take good care of your entire smile! For the best gum health tips, treatment and cosmetic dental procedures, contact Dental Care Center at Kennestone.